A still from FL@33's Reading ASCII Eye animation – originally created for a Will Alsop-curated exhibition at the Valencia Biennale 2003. 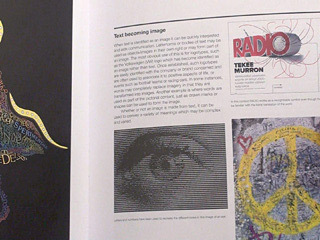 The still is featured here in this book as one of the examples for its 'Text becoming image' section. 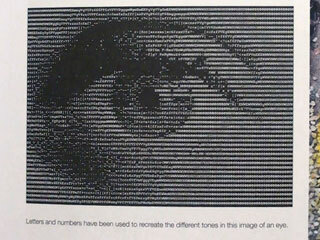 The book's caption says: Letters and numbers have been used to recreate the different tones in this image of an eye. 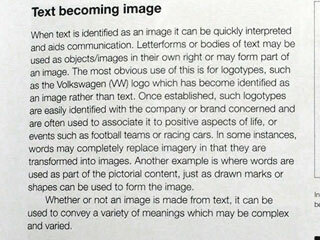 Fundamental to the study of graphic design is the creative use of images in a design context. 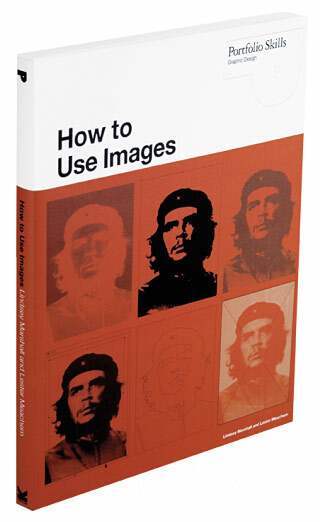 This book teaches you how to select and use images for a range of applications, including: magazines and newspapers, posters, booklets, books, leaflets, stationery, book and CD covers, advertising and promotional material, packaging, point of purchase, web pages and digital advertisements. It explores methodologies for choosing, placing, combining, manipulating and montaging imagery and the relationship of image to text, with chapters on: Selection, Structure and layout, Composition, Communication, Colour, Image potential, Production. 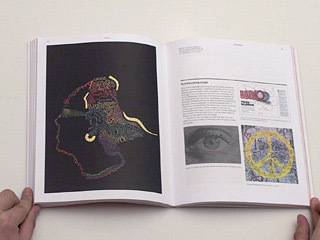 ___ Using fully illustrated case studies from leading graphic designers and practical exercises, the book provides professional insights and tips into ways of using pictures to maximum effect.